The modern incarnation of the U.S. Army�s First Cavalry Division began after the end of the First World War, when the massive force of millions of citizen-soldiers that mobilized to fight the Kaiser transitioned to a much smaller peacetime force of professionals. The new regular division activated in September 1920, with most of its elements coming from the wartime 15th Cavalry Division. It had two cavalry brigades each of two regiments; briefly, the division included the 10th Cavalry Regiment of black soldiers, a controversial move in the segregated U.S. Army. Five troopers, five types of headgear. 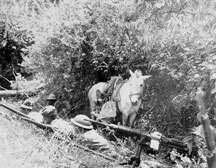 The 1st Cavalry in the 1941 Lousiana Maneuvers. The division spent the 1920s and 1930s at Fort Bliss, Texas, occasionally participating in maneuvers and patrolling the Mexican border. After the entry of the United States into World War II, the division received higher allotments of automatic weapons and light tanks for its reconnaissance battalion. Activated for overseas service in February 1943, the �First Team� lost its horses and went to war as a uniquely-organized four-regiment infantry division. The division continued to use cavalry terminology for its units and soldiers, helping to build cohesion and morale. A detachment of Lakota Sioux �code talkers� joined the recon squadron as well � often helping support the 7th Cavalry Regiment destroyed by their grandfathers. After a year�s jungle-combat training in northern Australia, the division entered combat in the Admiralty Islands off New Guinea in February, 1944. The Admiralty campaign lasted until May, and in October 1944 the 1st Cavalry was one of the assault divisions in the landings on Leyte in the Philippines. For the next three months the 1st Cavalry fought on Leyte, in the grueling battles for the Ormoc and Leyte valleys. Parts of the division also took the island of Samar. In late January, 1945, they were landed in Lingayen Gulf on the northern end of Luzon, the main island of the Philippines. They fought their way south, reaching Manila on 3 February and liberating 4,000 civilian prisoners from the camp at Santo Tomas. A flying column from the division dashed into Manila to rescue the �Philippine White House,� Malacanan Palace, from Japanese demolition teams and more importantly, to save the San Miguel Brewery from their dastardly attentions. A month of savage house-to-house, often room-to-room, fighting remained before Manila was freed by the 1st Cavalry with help from the 37trh Infantry Division. The 1st Cavalry on Leyte. With Manila secure, heavy fighting remained to repel Japanese attempts to retake the Philippine capital. In late march, the division�s front shifted to southern Luzon, where another month of hard fighting saw most of the island secured as well. �Major combat operations� were declared at an end on 30 June. Division estimates put the total number of enemy killed at over 14,000. Slated for Operation Olympic, the invasion of Kyushu in the Japanese home islands, the 1st Cavalry retrained for amphibious landings. On 1 November 1945 the ex-horsemen would have been one of the first divisions ashore, in what promised to be the bloodiest battle of the Pacific War. 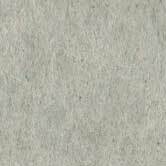 The dropping of atomic bombs on Hiroshima and Nagasaki hastened Japan�s surrender, and on 2 September 1945 the 1st Cavalry landed in Yokohama as an occupation division rather than an assault force. The First Team became the first division to enter Tokyo, and for the next five years occupied central Japan, collecting weapons and contraband, keeping order and smashing black-market rings. During the war the division suffered 970 killed and 3,311 wounded. Right field is secure. 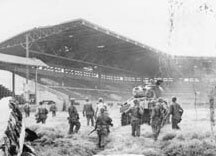 First Team troopers take Rizal Stadium, Manila. When North Korean forces invaded the South in 1950, the cavalry division rushed across the Sea of Japan to help hold the Pusan Perimeter. Months of bloody combat followed, and when American forces landed at Inchon the 1st Cavalry spearheaded the breakout from the perimeter. When relieved in January 1952 the 1st Cavalry had suffered terrible losses: 3,811 killed in action and over 12,000 wounded. The division remained in Japan until 1965. A swap occurred in that year, with the division�s colors transferred to the 11th Air Assault Division. Renamed the 1st Cavalry Division (Airmobile) but usually called the 1st Air Cavalry, the new First Team fought in Vietnam until June 1972 and was one of the last major combat units to withdraw. During its seven years in Vietnam the 1st Cavalry lost 5,444 killed in action and had over 26,000 of its troopers wounded. Afterwards, the 1st Cavalry became an armored division, retaining some helicopter capability but relying on its tanks for its striking power. It saw limited action in the 1991 Gulf War, and did not deploy to Iraq until early 2004. Like many other units, its first deployment there was continually extended and it did not return to the United States until April, 2005. During the first deployment, 156 troopers were killed in action. The division�s second deployment in Iraq began this week (early November 2006). To honor Furio and the 1st Cavalry, we�ve provided a FREE download for Great Pacific War. As one of the United States Army�s premier fighting divisions both in the Second World War and in the present day, the First Team needs its own counter to properly reflect its important strategic role and to strike fear in the heart of the Japanese player. The American cavalry corps is part of the United States at-start forces in the 1939 and 1941 scenarios. It can be broken down into the 2-4 1 Cav and 1-4 2 Cav cavalry divisions. During any Production Segment, the American player may substitute the 2-4 1 Cav INF division for the 2-4 CAV division, provided it is in supply and not adjacent to any enemy unit. Once swapped, it may not be re-mounted as a CAV piece.